This Picture layed down on my PC for quite a while and now I could find the Time to finish it. 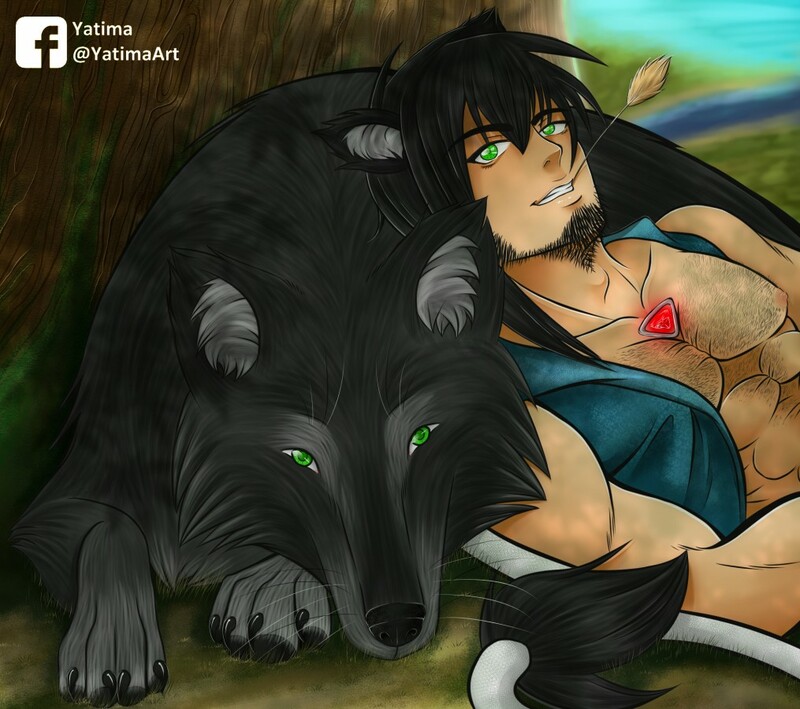 It shows my beloved Cyrian with his Companion Geri, they are lie under a Tree and relax befor they start a new Journey. Took me quite a while to color since the Outlines where a little bit old and not 100% of my type and style now a days. Der Wolf sieht super aus.